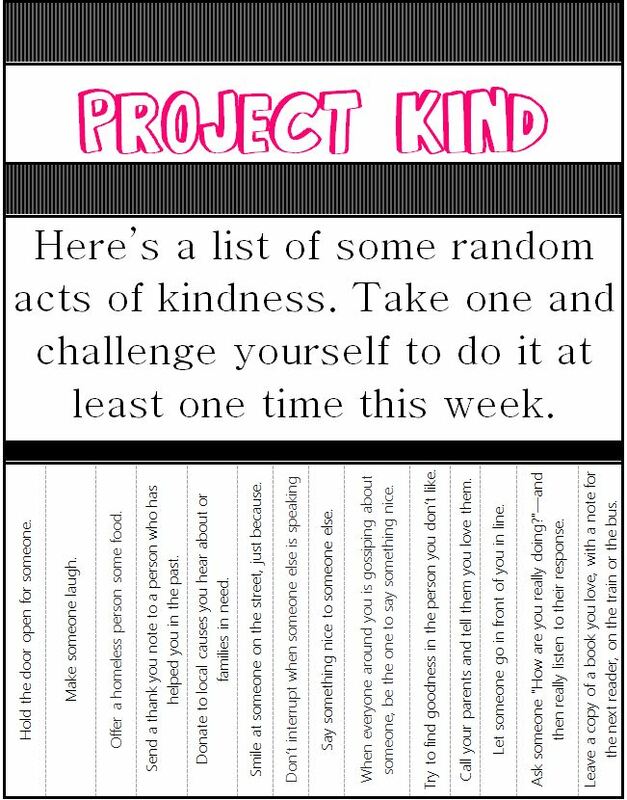 For the past 30 days, I along with 3 of my friends have been working on an innovation project that we named “Project Kind”. The main objective was to promote acts of kindness and to help others remember that it’s cool to be nice, not lame. We’ve noticed that sometimes, people think being nice is a sign of weakness or you’re not a “cool kid” if you’re too nice. 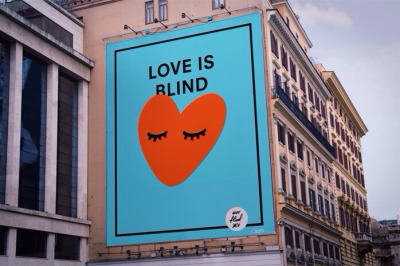 Which is completely not the case, so we made it our goal to show people that being kind is completely worth it. We were initially inspired by P1124, an organization that encourages selfless acts of kindess, and we too advocate this notion so we began brainstorming ideas to help us enter our idea into the world and global conversation. After much debating, we all decided to make t-shirts designs that said “kindness” or “be nice” on them to help motivate others to take the time to be nice. We all made a few designs and then voted on them amongst ourselves to see which design should be chosen for the t-shirts we would be making. In the end, it was my design that was chosen and although there were a lot of really nice designs, some of them couldn’t be unisex. Now that we had chosen our design, we had to get the word out about our company and how we would be selling these t-shirts. I’ll have to admit, this was definitely the hardest part of our entire project because it was difficult to find people to buy our product. Since we were on a deadline, we didn’t really have the time to get more order forms in so we only got about 20 or so orders. Here comes the next hardest part: finding a company to print out t-shirts for relatively cheap and not in huge amounts. I have personally contacted several printing companies but to no avail. They would not allow me to print just 20 shirts, I had to meet the minimum amount which for most companies was around 30 shirts. We were all kind of freaking out because not only were we not able find a company that could print shirts for us but finals were coming up as well and we were all on edge. Finally, after a lot of research, our prayers have been answered and Michelle was able to find this little printing company called “Graphic Wave.” He was apparently very nice and would print us just the t-shirts that we needed in just two days. We delivered the shirts to our customers the day after we picked them up and were even able to snap a few pics of their happy faces (which we linked in the presentation embedded below) with their new shirts. But we didn’t just stop at the t-shirts. 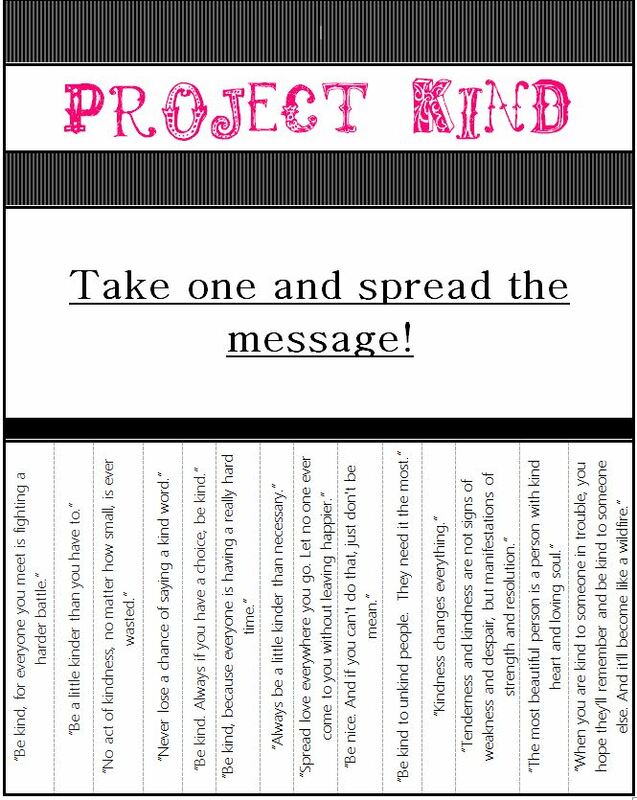 I also made these tear-off flyers, I believe they are called, that had quotes about being kind and some random acts of kindnesses people could do. We posted them up around the school and the community in hopes that this would further spread into the community. As for entering the global coversation, we made an instagram to share the word about our project to the world. Please feel free to print out these templates and post them up around your community! I learned a lot about running a mini business and time management by doing this project. I think that it’s extremely important to be on task and not slack off at all because we almost missed our deadline by not getting enough orders in. I think that if we tried to advertise more, we wouldn’t have had such a hard time with selling our shirts. I also learned that running a business is not as easy as it looks, especially when you’re a high school student on a budget. Sometimes you will mess up and things won’t go the way you planned but that’s okay because in the end, everything will work out (usually). Despite running into quite a few complications, my team and I were able to get everything in order and our project turned out to be extremely successful, something that I couldn’t be more proud of. Huge shout out to all of the people who bought shirts and to Michelle, Britney, and Chris, you’re all amazing!